Testing as a Service (TaaS) provides a dedicated tekVizion team to perform all of your interoperability and solution testing, reducing your engineering overhead and letting you focus on your core services and products. In a recent survey, it was determined that over 80% of service providers and a similar number of vendors do not have adequate hardware, software and human resources to perform the requisite testing needs in-house. 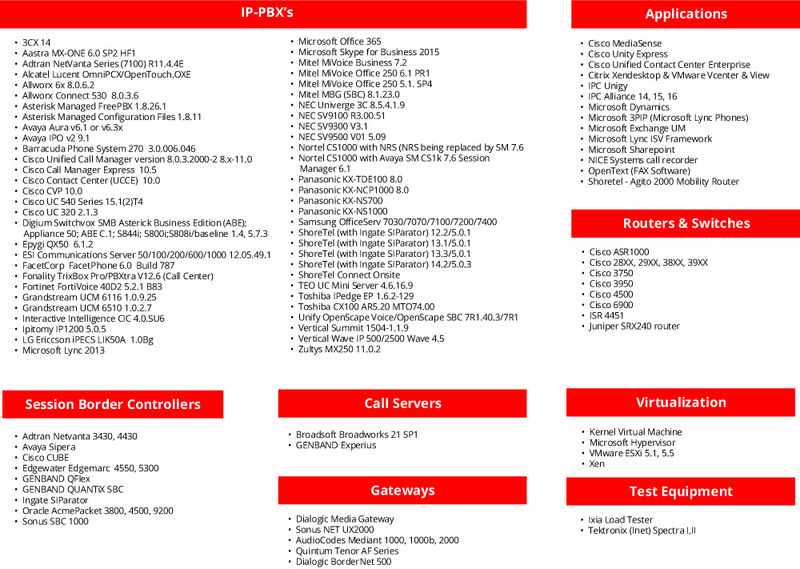 With tekVizion’s Testing as a Service, we give you access to our growing inventory of IP-PBXs and over 250 other network products and applications to dramatically reduce your capital expenditures. Our team will be an extension to your team, guided by the market requirements driving your business.